Integrated hydrodynamic modelling is an efficient approach for making semi-quantitative scenarios reliable enough for groundwater management, provided that the numerical simulations are from a validated model. The model set-up, however, involves many inputs due to the complexity of both the hydrological system and the land use. The case study of a Mediterranean alluvial unconfined aquifer in the lower Var valley (Southern France) is useful to test a method to estimate lacking data on water abstraction by small farms in urban context. With this estimation of the undocumented pumping volumes, and after calibration of the exchange parameters of the stream-aquifer system with the help of a river model, the groundwater flow model shows a high goodness of fit with the measured potentiometric levels. The consistency between simulated results and real behaviour of the system, with regard to the observed effects of lowering weirs and previously published hydrochemistry data, confirms reliability of the groundwater flow model. On the other hand, accuracy of the transport model output may be influenced by many parameters, many of which are not derived from field measurements. In this case study, for which river-aquifer feeding is the main control, the partition coefficient between direct recharge and runoff does not show a significant effect on the transport model output, and therefore, uncertainty of the hydrological terms such as evapotranspiration and runoff is not a first-rank issue to the pollution propagation. The simulation of pollution scenarios with the model returns expected pessimistic outputs, with regard to hazard management. The model is now ready to be used in a decision support system by the local water supply managers. Nearly two billions people (Alley 2006; Foster et al. 2013) get their water supply from unconfined aquifer. Today, this basic need is challenged by the global trends such as climate change (Kundzewicz and Döll 2009) or diffusion of micropollutants (Musolff et al. 2010). The task of water supply managers is getting complex: they routinely have to carry out groundwater abstraction schedule while maintaining the water table level above a threshold with the mandate to ensure a certain drinking water quality all year long. They need to get a thorough understanding of the targeted aquifer, and help to prepare plans and minimise the impact of extreme climatic events (Das and Datta 2001; Gourbesville 2008) or accidental groundwater pollution. This is when an integrated hydraulic modelling tool is an asset for water resources management (Furman 2008; Singh 2014), especially river-aquifer exchange needs to be accounted for (Zhou et al. 2014, Sun et al. 2016). In the lower Var River valley (LLV), France, groundwater pollution is a great concern as its unconfined aquifer provides the main fresh water resources at pumping stations. The urban sources of pollution are relatively low (exceeding standards) in this aquifer, which is reasonably ascribed to natural attenuation of many contaminants, as for instance in Rivett et al. (2011). Even though the unconfined aquifer in the LVV is known for good water quality (Table 1; Souriguère 2003), in high-value vegetable and fruits cultivation areas, the groundwater is always subjected to pollution threat, accidental or permanent, due to industrial zones upstream and main roads and sewers along (Rutsch et al. 2008). If the groundwater was polluted from such point or line sources, agricultural activities will be affected as much as drinking water plants, leading to sanitary hazard, environmental damage, and economic loss. Even in the absence of reported pollution events in this valley, the water management services have to anticipate the rare, yet most pessimistic, cases of potential pollution. Therefore, a transport model should be coupled with a validated hydrodynamic model in order to provide useful scenarios (Hussein and Schwartz 2003). Complexity of processes, data scarcity and parameter uncertainty discourage water managers in their appropriation of any groundwater modelling tool, as they need above all trustful decision-support tools. To reduce uncertainty in pollution hazard evaluation, groundwater abstraction, river-aquifer flow exchange and aquifer recharge from net rainfall are three important inputs. First, in some areas, the quantity of abstracted volumes could be big enough to influence significantly the results of a groundwater flow model. In urban context, information about water extraction is scattered among many sources (local authorities, local suppliers, private consumers, historical archives, etc.). The situation of the LVV is even more difficult because some agricultural lands are inside industrial zones and their water consumption is not documented. The quantification of lacking data such as undocumented groundwater abstraction is a basic and crucial step to succeed in the forthcoming validation step of the hydrodynamic model (Zhao et al. 2005). Meanwhile, it will help the water authorities to optimise their groundwater management strategy according to land use. Second, inflows to groundwater can be determined in an integrated way by hydraulic and groundwater flow modelling. In some urban settings, streams are major receivers for groundwater and treated or untreated wastewater; therefore, a multitude of stressors (Walsh et al. 2005) alter the magnitude and quality of groundwater-surface water interactions (Affolter et al. 2010). This degradation known as the “urban stream syndrome” comprises the “flashier” hydrograph with short lag times to peak flow, changed base flow magnitude and impaired channel morphology. In the LVV setting, the river is the main source of water for the alluvial aquifer. Both the constant composition of the river water all along the valley and the absence of correlation between the aquifer and river waters chemistry (Potot et al. 2012) argue for negligible alluvial groundwater drainage to the Var River. Moreover, eleven weirs were built from 1972 to 1986 to maintain the riverbed level so as to prevent the groundwater table decline. Due to the growing number of weirs, the riverbed became covered by fine sediments, further clogged in some sections and the groundwater level disconnected from the river. Despite recent lowering of upstream weirs to restore the hydraulic continuity, disconnection continues increasing in the section still impaired by higher weirs. Third, the quantity of recharge by a portion of net rainfall, through either direct infiltration from the ground surface or indirect leakage from the storm water drainage network, has a considerable impact on the groundwater dynamics. For a given time interval, the recharge term is related to measured precipitation, computed evapotranspiration and estimated runoff. Usually, daily rainfall is recorded by meteorological stations where measurements are precise and reliable. The actual evapotranspiration AET can be hard to acquire through field measurements. The literature is rich of attempts to draw a general method of estimating evapotranspiration in the Mediterranean area, especially in southern France (Delaroziere-Bouillin 1971; Carrega 1988; Chaouche et al. 2010; Garrigues et al. 2015). However, the computation of AET merely remains an empirical method. As for runoff, in most urban cases, only a rough consideration is possible by applying an empirical coefficient for partition of the net rainfall (P - AET) between recharge and runoff: this “runoff coefficient” C also referred to as “impermeability rate” by urban planners is assigned in each point of the ground surface as a property of land use maps (Savenije 1996; McNamara et al. 1997). Due to the complex pattern of surfacing and sealing of the ground surface, the runoff-recharge partition coefficient is highly uncertain in urban catchment. In this paper, we used previous calibration (Du et al. 2018) including river-aquifer transfer rates and easily usable reserve (EUR) parameter in the monthly water budget algorithm. The calibrated hydrodynamic model is first submitted to a validation step based on robust available piezometric data. Then, reliability of the model is discussed by putting to the test model predictions against features of the real hydrosystem such as river-aquifer exchange. Interaction is characterised by direct observation of the vertical head gradient between the stream and adjacent piezometers and arguments from a former hydrochemical study by Potot et al. (2012). A pollutant transport model involves various input data. Some may be ignored if it can be proved that they have almost no influence on the transport model output. Hence, a sensitivity analysis (Saltelli 2002) may help to quantify the impact of certain inputs and to decide whether it is negligible to the model (Bahremand and De Smedt 2008; Tavakoli et al. 2013). Particularly, as the runoff-recharge partition coefficient is the main parameter changing with the urban development, it is necessary knowing the influence of its estimate on the pollutant transport simulation. Finally, after the potential contamination sources have been identified in the study area, numerical simulations will allow the analysis of scenarios in order to predict the possible propagation of pollutant plumes. The designed scenarios will account for different behaviours along the river according to season and the river-aquifer exchange. In the LVV, groundwater in the unconfined aquifer of alluvium is a valuable resource for some 600,000 people. The annual pumping volume is around 50 million m3 for all kinds of water consumption. Here, urban groundwater is used for: drinking water supply, industrial process and agricultural irrigation. The abstraction for the first two utilities is recorded by the local water management services (Table 2), except water for small industries. The domestic water supply relies on large municipal pumping stations (Fig. 1b) that may contain several wells, up to 10 in main municipalities. Factories usually have one or two wells per site. For agricultural irrigation, farmers are authorised to drill wells, but the amount of pumped water is documented neither by the water management service nor by the farmer. Such lack of information has become a challenge for the local groundwater managers because the farmland occupies almost 1/3 of the total land area (Fig. 1b) and the induced withdrawal is significant in summer (low precipitation, large tourist influx requiring a greater water supply). The alluvial stream-aquifer systems are classified based on the predominant regional groundwater flow component as underflow dominated, baseflow dominated or mixed. The dominant regional groundwater flow component can be inferred in an alluvial valley aquifer from geomorphologic conditions. The LVV falls into the case of underflow component which, according to the synthesis by Larkin and Sharp (1992), is predominant when the following conditions exist: (1) the channel gradient exceeds 0.0008, (2) the sinuosity is less than 1.3, (3) the river penetration (incision through the alluvium) is less than 20%, (4) the width-to-depth ratio is greater than 60, (5) the fluvial depositional system is either valley fill or mixed load to bed-load, and (6) on flood plains where the lateral valley slope is negligible. The LVV links the mountain and the Mediterranean Sea. Starting from Charles-Albert Bridge (Fig. 1a), the LVV is 22 km long, through which the elevation of the riverbed decreases from 119 to − 2 m (Fig. 2b). The elevation of the mountains, which surround the valley, reaches 1000 m on the right flank and 800 m on the left one. The LVV typical climate is Mediterranean. The Var is a torrential type river with a mean annual discharge of 50.2 m3 s−1 at the mouth to which should be added the direct output of alluvial water into the sea of about 0.2 m3 s−1 (Guglielmi 1993). The daily river discharge is available in the public database of Ministry of Ecology and can be downloaded from the website www.vigicrues.gouv.fr. The hydrological regime is pluvio-nival: high discharges occur during snow melting in spring and during Mediterranean rainy events in autumn. During the rainy seasons, the valley is under high risk of river flood, which could trigger sources of contamination, which might diffuse into groundwater. Low water level occurs in summer until September, but monthly discharge is never less than 10 m3 s−1. Due to the fast economic development since the nineteenth century, unremitting changes in land use and the massive extraction of gravels in the stream bed impeded the river and its flood plain to recover permanent state. The upstream part of the LVV is facing an increasing problem of groundwater depletion that was handled for decades by the construction of successive weirs. Dramatic flood events destroyed some of the weirs, while others were then lowered or dismantled. Three aquifers exist in the LVV: the alluvium, the conglomerate, and the karstic limestone. Conglomerate and limestone groundwater samples have mostly Ca-HCO3 type. In the alluvial valley, some terraces remain from the Quaternary glaciations (Clauzon 1978) and the 20 to 100-m-thick formation of current alluvia consists of heterogeneous strata of non-consolidated pebbles, sands or marls. The alluvial aquifer is unconfined throughout almost the whole LVV, although a confined aquifer occurs in the estuarine area due to clay and silt lenses and is exploited for the airport needs. The water table is 2 to 15-m-deep in the unconfined part. Hydraulic conductivity measurements in Var alluvia displayed values ranging from 10−3 to 10−2 ms−1, with the highest values upstream. Influence of evaporites is predominant for the Var River waters and the alluvial groundwater, which is confirmed by their common Ca-SO4 type. Trace elements as Ba, Sr and Li are also associated to Triassic rock influence (Féraud et al. 2009), especially related to soluble gypsum. Elements specific to the Var River such as As and Cs from surrounding crystalline rocks are not found in alluvial groundwater, which is explained by sorption reactions at the river-aquifer interface (Barats et al. 2014) rather than by reduction processes, because the alluvial aquifer is well oxygenated. Despite the existence of industrial activity in the LVV, metallic pollution remains low and below drinking water limits. Nitrate was correlated with dissolved organic carbon (DOC) in most of alluvial groundwater samples, but neither in river samples (relatively high DOC and low NO3 contents) nor in conglomerate water samples (low DOC and high NO3 contents). Therefore, DOC has probably a different origin in the Var River and in the alluvial groundwater where an anthropogenic origin is suspected. Besides, anthropogenic contaminations were detected in the other aquifers (Potot et al. 2012). Conglomerate groundwater is the most impacted, with most often associated NO3 and Br. The Pliocene conglomerate has an effective hydraulic conductivity of about 10−6 ms−1 (Guglielmi 1993). Nevertheless, it is affected by fractures inducing local faster circulation and link with surface. Whereas nitrate may originates from either agricultural activities or residential wastes (Rabiet et al. 2005), the strong decreasing of bromide contents versus time is likely to testify for the progressive drop in pesticide use since 2005, totally banned in 2010. Variable Pb content in short circulation system, such as karstified limestone, supports the hypothesis of Pb originating from rainwater (Luck and Ben Othman 2002). Anthropogenic contamination by NO3, Br and at a less extent Pb, mostly provided by lateral supplies, does not strongly influence the alluvial groundwater chemistry. From these elements, according to a mixing model, conglomerate groundwater inputs stand for at most 20% of alluvial water recharge and the contribution from Jurassic limestone seems to be insignificant. The interaction between surface-water streams and groundwater may be investigated using a wide range of techniques such as measuring the temperature and fluid electrical-conductivity distribution in wells and surface water. Geological heterogeneity appears to be the most significant factor in controlling exchange. In ideal conditions, lithological information should be assembled using geophysical logging of existing bores, supplemented by the results of electrical resistivity imaging (Andersen and Acworth 2009). However, in the study area, the geological data used to build the model are from a handmade map with high uncertainty (Emily et al. 2010) and 8 profiles (Fig. 2a, c) that were given based on 56 drillings, which can barely describe the complex structure of the 22-km-long valley. The layer of alluvium is considered as an anisotropic medium, the hydraulic conductivity is obtained from interpolation of field data (Fig. 2d). For the other layers, considered as homogeneous, one uniform hydraulic conductivity value is assigned on each layer (Table 3). The modelled domain is the hydrogeological catchment, therefore delimited by geological faults and impermeable layers (Fig. 2c). Due to the lack of observed data for certain depths, the bedrock at some areas could not be identified. In this study, a functional model was developed despite the scarcity of geological data. These eight cross sections are the only data source which describes the geological context of the area and they were interpolated to set up the numerical model. The AquaVar research project (Du et al. 2016; Gourbesville et al. 2016) set up a 3D numerical model of saturated groundwater flow to study the unconfined aquifer in the LVV. Ss is specific storage (m−1); B is thickness of the unconfined aquifer (m); Sy is specific yield also called effective porosity (dimensionless); ψg is the hydraulic head of groundwater (m): for unconfined aquifer, its value is equal to the piezometric level; q is the groundwater Darcy’s velocity or specific discharge (m/s); K is the tensor of hydraulic conductivity of the porous medium (m/s); ε is the total porosity (dimensionless); Q is the specific mass supply per unit time per unit depth (s−1); qex and qr are respectively the increased mass per unit area due to the river-aquifer exchange and groundwater recharge (m/s); and qw is the groundwater abstraction per unit area (m/s). Longitudinal and transverse dispersivities βL and βT (m) are related to properties of the porous medium. In the LVV sediments, there were neither field measurements nor laboratory experiments to define a water retention curve. Thus, to avoid a huge increase of uncertainty in the future management tool, the unsaturated layer is not considered in the flow model. In the numerical groundwater flow model, the water level in the river i.e. the input data ψs (Eq. 6) is the output of a river hydraulic model built with MIKE11 software (Havnø et al. 1995), which solves the 1D Saint-Venant equation with the finite difference method. We use the simplified equation in the case of no Coriolis or viscous forces (DHI 2009; Delestre et al. 2014). The daily average discharge of the river according to the public river database (www.vigicrues.gouv.fr) was used to build the river flow condition. The bathymetry of the riverbed was inferred from the 50 m resolution DEM, as well as the ground surface of the model. The distance between any two consecutive cross sections was about 500 m and the maximum grid size was 100 m. The interval was reduced to 50 m for a better description of the topography where the slope has a marked change. The upstream boundary condition was the daily discharge measured at La Manda Bridge (Fig. 1a). The downstream boundary condition was mean sea level (0.3 m) according to Guglielmi (1993) (Fig. 2d). The hydraulic model has been validated for all known conditions of the river for 40 years, including the flood event of 1994 (Bel 1995). Since MIKE11 was not jointly coupled with FEFLOW, the river-aquifer exchanges were not calculated in a dynamic mode. The water level simulated by this model was assigned in the groundwater flow model as a transfer boundary condition (Diersch 2014) at 30 control points. Between the adjacent control points, the transfer boundaries are interpolated with inverse distance weighted method. These points were unequally distributed along the 22-km river according to the precision needed at each section. where φ is the transfer rate which is related to the porous medium properties (s−1) and ψs (respectively ψg) is the water level (m) of surface water (respectively hydraulic head of groundwater). The values of transfer rate for aquifer-river feeding direction (noted as out-transfer rate) may be higher than that of the inverse direction (noted as in-transfer rate). Typically, infiltrating surface water with suspended particles tends to clog the pore space whereas exfiltrating clean groundwater ‘flushes’ the pore space in the clogged layer. The two directions of exchange exist, but they happen during different seasons. Hence, different values are used for in- and out-transfer rate in this model (Fig. 3). where P is the precipitation measured by the meteorological stations (mm/day) and R is the runoff (mm/day). The recorded values for industrial and domestic uses are highly reliable and thus they are directly used as a model input. In the conceptual model, the industrial water use is assumed constant over time because the production scale is stable, while domestic and irrigation water consumption are assumed to follow a seasonal distribution, (increased need in summer). Hydrological data such as rainfall and the Var River discharge come from long-term and high temporal resolution measurements conducted by the local water management services. where qag is the estimated pumping rate of water per unit aquifer or farmland area for agricultural use (m/s), ψg is the groundwater level (m), and t is time (s). A negative value means that the groundwater level keeps dropping when the water is under pumping. The correctness of this estimation will be justified by an inverse simulation approach (Murray-Smith 2000): after completion of the groundwater flow model with a new sink term input from this abstraction estimate, the model predictions matching with piezometric data will validate the sink term. The piezometric level measured at Charles-Albert Bridge (Fig. 1a) is assigned as the upstream boundary condition (Fig. 2d). On the land use map of the studied area (Fig. 4a), the riverbed and Le Broc Lake are not included because boundary conditions are assigned on these areas. The groundwater abstraction is modelled by a well boundary condition, which is a discharge assigned on a node of the top layer of the model. Except for the airport, records of pumped volumes shown for instance in Fig. 5 allow calculating the daily values in a single well. To describe the spatial distribution of the hydraulic conductivity in the alluvium layer (Fig. 2c), 54 measured values from different studies have been interpolated by using the inverse distance weighted method [Shepard 1968]. Regarding the calibration of the specific yield, each piezometer represents a type of alluvium: PZS9AV for high permeability alluvium; P15 for the porous media with a clogging layer; P36 represents the alluvium with lens of clay and silt, which is the typical characteristic of the alluvium in the downstream part. The selection of piezometers for Sy calibration was done according to the map of sediments after field work (Du 2016). The specific yield Sy influences the peak values of piezometers: a lower Sy corresponds to bigger amplitude of the peak and a faster recession after a peak. In the modelled domain, the upstream area is the least sensitive to the variation of Sy, because the simulated result is more impacted by the boundary condition assigned on Le Broc Lake. In the section of weirs, the groundwater level is more sensitive to Sy, as shown by the maximum variation of groundwater level 1.10 m at P15. Calibration of this parameter with spatial distribution in a range between 0.05 and 0.20 produced a map of Sy thus assigned to the aquifer in the model. The monthly actual evapotranspiration (AETM) is computed with the Thornthwaite algorithm using the precipitation and monthly potential evapotranspiration (PETM) which is calculated by Turc formula with monthly data of temperature, precipitation, solar insulation hours and latitude of the studied area. The daily data are recorded by the meteorological station of Nice airport, and the data can be consulted on the webpage www.prevision-meteo.ch. Then, AETM is equally distributed to a daily scale as an input to the model. The Thornthwaite algorithm introduces the concept of easily useable reserve (EUR) of water in the soil, which represents the water stored between the aquifer and the ground surface that can be easily used for evapotranspiration. The maximum value of this capacity parameter was calibrated after having examined the hydrological conditions in the LVV for 13 years (from 2000 to 2013). The inter-annual study leads to an average value of annual precipitation PA (878 mm) and annual actual evapotranspiration AETAETA (583 mm) computed with the Turc formula: AETA is a function of PA (mm) and TA (°C) the annual average temperature. The calibration of the hydrodynamic model with EUR to honour PA and AETA gives EURmax = 153 mm. This parameter generally lies in the range 100 to 200 mm in southern France. This value is thus used to calculate AETM in order to estimate the rainfall infiltration, which is an input to the numerical model. As explained at the “Definition of external sources and sinks” section, the river-aquifer exchange is modelled by a transfer boundary. The transfer rates are calibrated after a sensitivity analysis performed by a series of simulations during 293 days from May 2012 to February 2013. For instance at PZS9AV (Fig. 3), average variation and maximum variation of the simulated groundwater level are respectively 2.24 and 3.26 m for a tuning interval of φin from 1 × 10−6 to 1 × 10−4 s−1, 1.32 and 1.69 m for a variation interval of φout from 1 × 10−5 to 1 × 10−3 s−1. The downstream section near point P36 is the most likely to respond to infiltration, especially during the dry season (low groundwater level and river level always higher than the water table): the maximum variation of the groundwater level simulated with different φin values, respectively with different φout values, are 3.16 and 0.63 m. Thus, the value of φout does not influence too much the results in this section of the river. The order of magnitude of calibrated φin and φout is around 10−5 s−1 and respectively 10−4 s−1. Compared to intrinsic parameters, such as the specific yield, transfer rates have a more significant influence on the groundwater flow. Both transfer rates are assigned to the riverbed with spatial distribution. The results include an estimate of lacking abstraction data, a groundwater flow model validation step, some arguments on the prediction reliability of river-aquifer exchange, a sensitivity analysis of the transport model to direct recharge and pollution scenarios. Following the suggested methodology, in summer, when the precipitation is quasi absent, the water table evolution is assumed to be totally determined by the sum of all pumping activities. In summer 2012, the LVV suffered from a drought. No precipitation was observed from September 6th to 22nd, 2012, while the need of groundwater for irrigation was still strong. Among others, piezometers P34BIS and P15 are located on the farmland (Fig. 6), where the pumped groundwater is used for irrigation only. Thus, during this period, these piezometers readings allow estimating the groundwater consumption for agricultural use. With this representative example, the undocumented groundwater extraction flux on the farmland is estimated at qag = 0.015 m/day. This value holds for the dry period only (August, September and October). In the numerical model, one equivalent well with a pumping rate of 3000 m3/day is assigned per 20 ha farmland area. In the model, this leads to 33 wells that have been assigned on the farmland of the lower valley. The reader may point out that the estimate of the unknown groundwater abstraction is not accurate, because two trends could be detected in Fig. 6 while only a linear approximation is used. However, Fig. 7 shows that the simulated results during the dry season (where this abstraction is assigned) fit very well the observed data. It indicates that this approximation is accurate enough for a simulation with this time scale. A simulation for 1266 days, from September 10th, 2009 to February 26th, 2013, has been performed for the model validation on six piezometers (Fig. 8a). An extreme flood event on November 2011 and a severe drought event in spring and summer of 2012 are included in this time interval. Therefore, this period is a representative for the hydrological environment in the LVV. The mean absolute error varies between 0.13 and 0.37 m which demonstrated a general matching of the model. The Nash Sutcliffe Efficiency (NSE) coefficient was calculated—it varies between 0.42 and 0.94—to evaluate the model performance (Nash and Sutcliffe 1970): it holds especially for flood events as it is sensitive to peak values. Despite the lack of geological data, the model was able to provide satisfactory simulation results (Table 4; average Nash coefficient 0.76) thanks to reasonable hypotheses and pertinent calibrations. In the cultivated land section, the results (Fig. 7) show that the groundwater levels at P34BIS and P15 (see location at Fig. 4a) were correctly simulated with NSE respectively 0.717 and 0.812. The model shows a good performance at the peaks and troughs. The groundwater level during the summers of 2010, 2011 and 2012 is close to the measured data. It confirms that the model gives satisfying results in the cultivated zone thanks to, among other, the former estimate of groundwater abstraction on the farmland. The groundwater flow model gives a less satisfactory simulated result at piezometer P16 in the area of a demolished weir. Through the measured data, the groundwater level during summer has a notable withdrawal, while it is not reproduced by the model. The time series (Fig. 8c) at P16 shows that the peak value is closely simulated, which means that the river-aquifer exchange has been calculated correctly. All things considered, it is reasonable to assume that the observed discrepancy is mainly caused by a wrong estimate of the non-recorded groundwater extraction in this area. The area around P16 has a mixed land use containing industrial, agricultural and urban zone (Fig. 8b). In the model, this area was assumed totally as farmland, but it is possible that the farmland itself consumes locally more than estimated at “Estimate of missing data: groundwater abstraction for crop irrigation” section or the sum of the consumption by the small industries becomes a significant quantity, which should no longer be ignored. After calibration, the simulated results of river-aquifer exchange, for instance the feeding direction on the left of Fig. 9a, were proved to be qualitatively consistent with the grading curve analysis of the sediments in the riverbed (Du 2016). The comparison between the dry period and rainy period results indicates that, when groundwater level rises during winter, the river section where the aquifer feeds the river is longer. The unit used in the post-processing is cubic meters per day, which is the product of the flux of exchange calculated with Eq. 6, times the area of the computational grid on the riverbed that it represents. This area is around 300 m2 by dividing the total area of the river bed over the total number of nodes. On the right side of the map, some sections were selected to show the contrast of exchange flow rate in detail. It shows that the river has a stronger exchange in the upstream than in the downstream part. In addition, Fig. 9b shows a longitudinal profile of the riverbed from the DEM and the groundwater table from the model. Beyond weir no. 7 downstream, disconnection occurs between the river and the water table. Near Le Broc Lake (location: Fig. 3b), the aquifer feeds the river with a flow rate of more than 15,000 m3/day, equivalent to a specific discharge of 0.58 mm/s since, as mentioned, the unit area that a node involves is approximately 300 m2. At the section of weirs, since the groundwater level is always beneath the water level in the river, the direction of the exchange flux is towards the aquifer. There is 2000 m3/day of water going into the aquifer during the dry season, which equals to a flux of 0.07 mm/s. In the downstream area, while the exchange flux has two directions, the magnitudes for both directions are not more than 500 m3/day (or 0.02 mm/s). The groundwater table withdrawal, which is more severe in the section between weirs no. 8 and no. 4, reveals that the weirs have a negative effect on the groundwater recharge. The river-aquifer exchange becomes stronger where the natural river profile has been regained and the restoration of groundwater appears near the lowered weirs (no. 10 and no. 9). The positive effect was confirmed close to the destroyed weirs (nos. 3, 2, 1, downstream half of the study area, not displayed in Fig. 9). This stands for good reliability of the model, moreover of remarkable relevance to the problematic of pollutant propagation. Another series of arguments comes from main hydrochemical features of flow exchange at the boundaries of the low Var valley aquifer system, as they were discussed in details by sections (A to D, see Appendix) in Potot et al. (2012). The main conclusions we can draw from the previous hydrochemistry study are: (1) confirmation of our model predictions for sections A (upstream Le Broc Lake) and D (downstream Lingostière), and (2) potential contribution (up to 20%) from the conglomerate aquifer in several points means that (a) in section B, main green segment in Fig. 9a, the model prediction for exfiltration is enhanced by conglomerate supply, and (b) in section C, main yellow segment of Fig. 9a, the model prediction for river to aquifer feeding is slightly overestimated. In section D, progressive increasing southward contribution of the Var River water to the alluvial aquifer evidences that the Var River input is strongly enhanced by pumping in the alluvium for water supply (Pugets-Saint-Laurent catchment). Along the lower Var River, six potential pollutant sources were selected (Fig. 4b) in order to simulate the pollutant transport in porous media of different characteristics and different cases of river-aquifer exchange. Groundwater recharge in the model is based on the water balance of the hydrologic cycle (Eq. 7) and depends on AET and the runoff estimate. Therefore, in the prospect that the direct recharge in some area significantly influences groundwater flow, both terms may affect the simulations of pollutant transport. Reversely, if the output of the transport model would turn to be highly affected by the recharge, then a more accurate way to estimate the AET and runoff should be defined back to the beginning. Otherwise, if the influence of a term is negligible, it can be simplified or even ignored in the transport model, which would allow reducing the model complexity and the cost and time of its construction. After a full hydrological study (Du 2016), it was considered that the computed mean inter-annual AET term has sufficient accuracy and the EURmax parameter has been calibrated successfully. So, the sensitivity to the runoff coefficient only is targeted here. Four kinds of land use were distinguished in the study area by proper C values (Fig. 4a). However, these values are from a guess; they vary depending on how the modellers interpret reality into model. Three tests were carried out to study the influence of the values of C in the simplified land use map on the transport model. The values of C that Du et al. (2016) used in the validation step of the model are tuned in Table 5 by an increase and a reduction and the recharge fluxes qr for the three tests are calculated. Then, pollutant simulations for a five-year-long period have been performed. An accidental pollution event is considered in these tests with a nodal pollutant injection in the industrial zone. More about the simulation parameters will be found at the “Groundwater pollution scenarios in cultivated area” section. Assuming a discharge of 300 m3/day of a conservative non-decaying pollutant with a concentration of 12,500 mg/L injected directly into the aquifer at one point-source during one day, the pollution starts to spread in the aquifer towards the cultivated land downstream. The propagation is computed at La Manda pumping station (close to weir no. 4, Fig. 9b) and two other points were chosen to inspect the concentration variation over time (Fig. 10). The results show that, even though the variation of C makes a sharp difference in qr, the pollutant concentration is barely impacted by this change. Compared with the simulated results in test 1, values in test 2 lead to a slightly decreased concentration on all three points. This indicates that qr is not an influencing factor in the pollutant transport simulation. When the peak of concentration arrives at La Manda pumping station located downstream, only 500 m away, the concentration is dramatically reduced. It clearly shows that the effect of dispersion caused by groundwater flow is much more important than the effect of dilution due to direct recharge on the way. Very effective dispersion in this section is attributable to feeding of the aquifer by the river as shown at the “Prediction of river—aquifer exchange and reliability based on previous chemical study” section. The boundary conditions and source/sink terms of the pollutant transport module are the average values calculated with the validation step from 2009 to 2013. The Var River has an annual average discharge of 50.2 m3/s at Napoléon III station (Fig. 1a). Based on this value, the transfer boundary condition was computed upstream for the pollutant transport simulation. The maximum time step is 0.1 day as a result of the computation time optimization. To setup the pollutant transport model, the values 61 and 18 were chosen for longitudinal and transverse dispersivities (Eq. 5), according to studies in quaternary alluvial aquifers after Gelhar et al. (1992) and without calibration. Hence, the absolute value of the simulated concentration could not be accurate and it would not make sense to draw conclusions from different concentration inputs. Nevertheless, a qualitative comparison between scenarios based on same concentration input at different places along the stream is worthy to be analysed, because it may reveal the area that is most sensitive to groundwater pollution. For pollution scenarios, the simulation period may be extended to 3 or even 10 years so as to find out the long-term effect of groundwater pollution. The maps in Figs. 12 and 13 use different colour scales to demonstrate the results before 3 months and after 6 months in order to enhance the visibility of the pollutant concentration. Two types of pollution sources are considered: long-term pollutant leakage and single-pulse (1 h) pollution event. In both cases, they are simulated as nodal injections of the same pollutant with the same initial concentration (12.5 kg/m3) and the same diffusion coefficient which was set to 2 × 10−9 m2/s in water at 25 °C according to Li and Gregory (1974). For the first type of pollution scenario, a continued leakage discharge of 0.001 m3/day (1 L/day) is injected in the southern boundary of Le Broc Lake at the upstream end of the study area (Fig. 11). The concentration at the source point keeps increasing and reaches 0.005 mg/L by the end of the 1st year. The simulation period is 3 years because in reality it is impossible that a constant leakage continues for more than 3 years without being detected in the valley. Since the source point is located on the right bank side of the valley, the pollutant concentration on the right bank side is higher than the one on the left bank side until the first meander of the river, after which the concentration is equally distributed on both sides. The pollutant moves faster in the upstream part due to the high velocity of the groundwater flow. It is apparent that, during the 1st year, the pollutant travels over 8 km by the effects of advection-dispersion. For the second type of pollution scenario, the same as at the “Sensitivity analysis: influence of the recharge by rainfall on pollutant transport modelling” section but shorter, a discharge of 300 m3/day of a conservative non-decaying pollutant is injected during 1 h directly in the aquifer at one pollutant source. Figure 12 shows single-pulse seepage of pollutant at the southern boundary of Le Broc Lake: the pollutant concentration is dispersed by flow within no more than 1 month. Like in the constant leakage case, the pollutant moves downstream due to the high flow velocity. It reaches La Manda Bridge (Figs. 4b and 10a) by the end of the 6th month once injected into the aquifer. By the end of the 2nd year, the residual pollutant concentration is less than 0.01 mg/L. Other cases of the second type of pollution scenario were simulated. Fig. 13a shows the consequences of a simulated single-pulse pollution event at Carros, close to a pharmaceutical industry. The simulation results show that, in case of failure in the wastewater treatment process, the pollutants will move slowly downstream for the first 3 months. Then, through river-aquifer feeding (Fig. 9a), the concentration would be diluted by the river freshwater. By the end of the 2nd year after the injection of the pollutant, its residual concentration is very low due to the effect of dispersion and dilution. Figure 13b is the simulation result of a single-pulse pollution event at Lingostière close to a commercial centre, which is a mixture of industrial and urban area. The pollutant stays in the same area for a long period of time and its concentration remains at a high level because of the slow groundwater flow and weak river-aquifer exchange. By the end of the 2nd year after the injection, the pollutant travels no more than 4 km downstream. However, the pollutant would be brought to the right bank side by the groundwater flow. These results indicate that, in this section of the river, the aquifer has the lowest self-clean ability. The fact that simulated groundwater level matches the data at a few piezometers is admitted here as sufficient in the validation step. At the same time, it induces that the input of undocumented pumping for agricultural use has been estimated likely with enough precision. Then, the simulations account for the observation that the river and groundwater are reconnected in the upstream section of the river, where the weirs have been lowered; however, the disconnection continues increasing in the section that is still impaired by higher weirs. This expected behaviour is a relevant test for consistency with reality. It also confirms that the lowering of upstream weirs successfully helped with the restoration of the hydraulic and ecological continuity of the LVV. Changes in land use caused by urban development lead to disruption of the natural hydrological cycle; thus, aquifer recharge is deeply modified. Estimation of all the various contributions to the urban hydrological cycle is very difficult and, since the pioneer work by Lerner (1986, 1990), no standard has been accepted yet. Discrimination among sources of recharge is important because of pollution hazards and the need to develop appropriate management strategies (Johnson 1986). This can probably be best achieved by using a mass balance computation involving specific chemical species associated with the known sources. Examples were given by Trauth and Xanthopoulos (1997), Butler and Verhagen (1997), Gäbler and Bahr (1999), Robbins and Gilbert (2000). Using multi-solute balance equations is an alternative, which was applied by Yang et al. (1999) and Barrett et al. (1999) to quantify recharge in the city of Nottingham. A methodology based on multivariate statistics analysis allowed quantifying separately the losses in mains and sewers, the direct infiltration and inflows from the river and from the sea for different areas in the city of Barcelona (Vázquez-Suñé et al. 2005). Thomas and Tellam (2006) use a multi-processes model written within a GIS, designed to provide estimates of spatially distributed recharge and recharge water quality in unconfined but covered aquifers: applied to the city of Birmingham; it predicts a similar average recharge rate for the aquifer as previous groundwater flow modelling studies, but with significantly more spatial detail. Vizintin et al. (2009) studied the case of Ljubljana with the urban water balance modelling approach using a chain of different models that handle contaminant fluxes into the underlying aquifer. Empirical hydro-pedotransfer functions proposed by Wessolek et al. (2008) for annual recharge estimate are promising due to the validation with several case studies. As the most significant finding in the literature from Lerner (2002) to Schirmer et al. (2013), most of the aquifer recharge in urban context is due predominantly to leakage from drinking water mains of the drinking water network (Jeppesen et al. 2011) and secondary to sewage networks. For the Mediterranean city of Naples (Italy), a groundwater flow model (Ducci and Sellerino 2015) using the 3D hydrostratigraphic model and a detailed computation of the paved areas with reduced infiltration evaluated the recharge at 0.101 m3/s. According to the urban studies cited above, the predominant recharge item in cities is the leakage from mains, which is not represented in the hydrological balance. A lower runoff coefficient C, partition of net rainfall between recharge and runoff, physically signifies higher percolation rate through the vadose zone rather than ‘lower imperviousness’ of the ground surface as often considered in an urbanistic perspective and software manuals. In the context of this study, the rationale of hydrologic balance suggests applying a C close to 1 in summer on urban land use even where some areas allows for infiltration. Indeed, during dry months under the Mediterranean climate, the part of rainfall that infiltrates the soil of the floodplain is likely to just replenish the EUR or exhaust as AET. Violent storms at the end of the dry season also lead to very low infiltration. Hence, little percolation occurs and direct aquifer recharge is very low or negligible. Instead, recharge may occur as a deferred sub-term of the runoff, i.e. leakage from the storm water network. In the study area, the volumes of collected runoff that enter the combined (storm and waste water) sewers and further leak into the vadose zone remain unknown. Fortunately, here, the distances from the points where runoff enters the drainage network down to the riverbed are short and the transverse slopes are steep, so that the probability of storm water leakage is low. This would imply that indirect contaminated recharge is not considerable. The sensitivity study proves the runoff coefficient is not a significant source of uncertainty to the transport model in the unconfined aquifer of the LVV. This suggests that for similar studies in urban Mediterranean context, less effort could be devoted to the C estimate when the aim is to study the pollutant transport. The local complexity of land use, not through C but rather due to unrecorded groundwater extraction, may be the main reason for the inaccurate model output at some piezometers. The transport characteristics of the alluvial aquifer are not accurately reflected in the uncalibrated transport module. However, the pollutant transport in unconfined aquifer depends mainly on the groundwater flow and the calibration of a transport module may be too restrictive. Thus, in a case study of an industrial site (Rinaldi et al. 2014), the calibration of a transport model in transient flow conditions at local scale was so constrained that the lower degree of freedom reduced the choice of the aquifer parameters themselves. No pollution event has ever been recorded in the LVV, hence no data were available to validate the transport model that was setup with the values of longitudinal and transverse dispersivities based on similar aquifers. Again, since neither a calibration of uncertain parameters, such as dispersivities and the diffusion coefficient, nor a validation has been done, the results of scenarios are not accurate; they only have a qualitative added value in the same spirit as, for instance, Mande et al. (2012). The hydrodynamic model has been validated, the simulated groundwater flow is reliable and the results of the transport model qualitatively show the pollutant propagation at different locations in the valley. Nevertheless, as usual, the limitations of the model are numerous and at least two can be drawn. First, the pollutant leakage is simulated by point injection into the saturated zone of the unconfined aquifer. Since the hydrodynamic model does not consider unsaturated flow, the situation of a pollutant leaking from a source at the ground surface and undergoing natural attenuation in the vadose zone cannot be reproduced. It will not be possible for instance to model the influence of the infiltrated eutrophic wastewater produced by the agricultural activities or on-site sanitation (Ouyang et al. 2013). Moreover, the pollutant moving in the saturated zone is assumed conservative without any decay. In the same kind of assumption, pollutant extraction from the aquifer by the pumping stations is not accounted. While these shortcomings may be overcome technically with up to date software, data to validate the possible improvements will be difficult to acquire. Second, the one-way data transfer from the river to the aquifer does not allow reproducing a more articulated contaminant path, which considers that the pollutant enters from groundwater into the river (exfiltration), moves within the surface water flow, then re-enters downstream into the aquifer through the hyporheic zone making filtration in synergy with the infiltration (Zhou et al. 2014). Jointed coupling between MIKE21FM (2D modelling software) for the river and FEFLOW (3D) for groundwater, or alternatively MODFLOW (Nasri et al. 2014) or HydroGeoSphere (Brunner et al. 2010), would lead to a fully dynamic river-aquifer exchange computation, hence more realistic. This track is to study the further development of the model. Therefore, according to both above-mentioned limitations, while the results of the transport simulations are qualitatively correct, an overestimated concentration is likely to occur in groundwater at the sections where the aquifer feeds the river or at the downstream pumping stations. Hence, the numerical model is likely to provide an overestimated residence time of a pollutant at a given place. Despite the lack of documented long-term case studies and the inappropriate character (Brack et al. 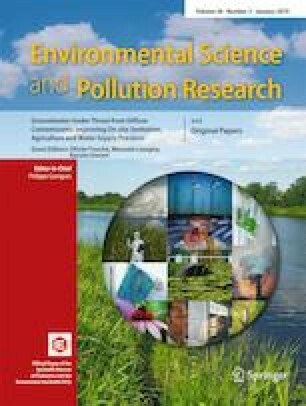 2007) of available monitoring networks to follow the propagation process of pollutants at large scales in an urban context, numerical modelling is an approach that should be used more widely in the decision-making process when dealing with pollution hazard. The reliability of model outputs determines the value of the arguments provided by the model. This study gives an example of further application based on a validated groundwater flow model in an alluvial Mediterranean aquifer. It is to convince water supply managers: despite a low density of data in the geological layer representation and soil properties, with relevant simplification and careful calibration, a groundwater flow model is able to give valid results. Even though the model validation focused on the hydrodynamics of groundwater flow, by making reasonable assumptions on basic parameters such as anisotropic dispersivity, the model is able to simulate the general shape of the pollutant plumes at different locations in the unconfined saturated aquifer. Several types of scenario are considered for the pollutant transport in the unconfined aquifer to simulate a series of pollution events in the aquifer of the lower valley of the Var River. The pollutant transport simulation performed in this study is an example of the application of such model as a part of the decision support system (DSS). Practical information can be obtained from the simulation results in order to prepare prevention plans for hazard mitigation. This research is currently being developed within the AquaVar project with the support of Nice-Côte d’Azur City, Alpes maritimes Department, Rhône-Mediterranée-Corse Water Agency, Nice-Sophia Antipolis University, Méteo-France. The work benefited from data provided by these partners and H2EA consultants (http://www.h2ea.fr/). DHI is acknowledged for the sponsored MIKE Powered by DHI licence files. Thanks to Pr. Philippe Audra for fruitful discussion during this study. The valuable suggestions and comments given by three reviewers were highly appreciated. The following description byPotot et al. (2012) was used in the present study to check the reliability of the groundwater predictions with regard to the stream-aquifer system. The hydrochemical study did not allow proving exfiltration from the alluvium to the river: only feeding of the alluvial aquifer by the rivers and the surrounding conglomerate aquifer was well characterised. Section A: from the Vésubie River confluence to the Estéron River confluence (Le Broc Lake, Fig. 4). The rivers drive the main recharge for alluvial water in this section. The main influence upstream is from the Vésubie water; then, increasing Sr, SO4, Cl, Li and Ba contents coming from Triassic rocks in this area demonstrate a progressive contribution of the Var water downstream. Section B: from the Estéron confluence to La Manda (Fig. 4). The Var and the Estéron Rivers both contribute to alluvial water recharge near the confluence with the Estéron. Chemical data show a stable but low input (up to 20%) of conglomerate groundwater to alluvial water in the Carros area in agreement with shallow depth of Pliocene conglomerates, with only 20-m-thick alluvial deposits in the catchment field of Carros. Section C: from La Manda to Lingostière (Fig. 4). On the right riverside near Gattières, a conglomerate groundwater input has been suggested, especially because of lower Sr, Mo and Li, but higher NO3 and SiO2 contents. A mixing study supports this hypothesis already proven at section B. Section D: from Lingostière to the river mouth. At the Lingostière district on the left riverside, no input from conglomerate could be demonstrated; on the right riverside, variable composition of alluvial water may be considered as intrinsic variability due to the nature of the sediments; alternatively, it may be explained by heterogeneous local conditions of recharge from the Var River. In the catchment field of Pugets-Saint-Laurent, a mixing study highlights that the Var River feeds the alluvial aquifer in the southern part, and further down south, alluvial groundwater displays higher Li, Ba, SO4 and Cl. On the left riverside, this contribution is even stronger; moreover, increasing SiO2 concentration demonstrates that the alluvial aquifer also drains conglomerate water. In the neighbourhood of the river mouth to the Mediterranean, constant Na content excludes significant seawater influence.